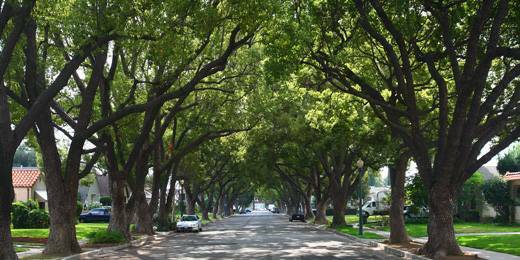 If you're planning on buying an old house, as you enter what could be your new neighbourhood, you’re instantly smitten by the gorgeous tree-lined street. Visions instantly spring to mind of relaxing on sizzling summer days in your shaded, sun-dappled garden under the spreading bows of ancient trees. And when autumn arrives in all its glory, you imagine playing with your kids in the leafy golden harvest while you do your best to move them to the curb – the leaves, that is, without the kids. Maybe, it’s the prospect of buying an old house for its historic architecture, the dormered or gabled roofs. Or maybe it's about the old-world gingerbread trim, or the original white oak hardwood floors, now considered an endangered North American species. Or perhaps it's the lofty ceilings with magnificent baseboards and matching cornice mouldings. No matter what details, mature heritage homes definitely exude oodles of charm. What interesting stories they could tell if they could only speak. However, for practical reasons, when buying an old house, you mustn’t allow yourself to become too intoxicated by the hand-plastered walls, leaded glass windows and gum-wood paneling. You could be buying a money-pit in the guise of an old house. After you’ve happily taken possession of your "new" old house, the last thing you want to discover is that just beneath the surface of your dream home lurks a dilapidated and exhausted monster in desperate need of a major unexpected investment of your hard-earned money. Your feelings could sink in tandem with your bank account balance. 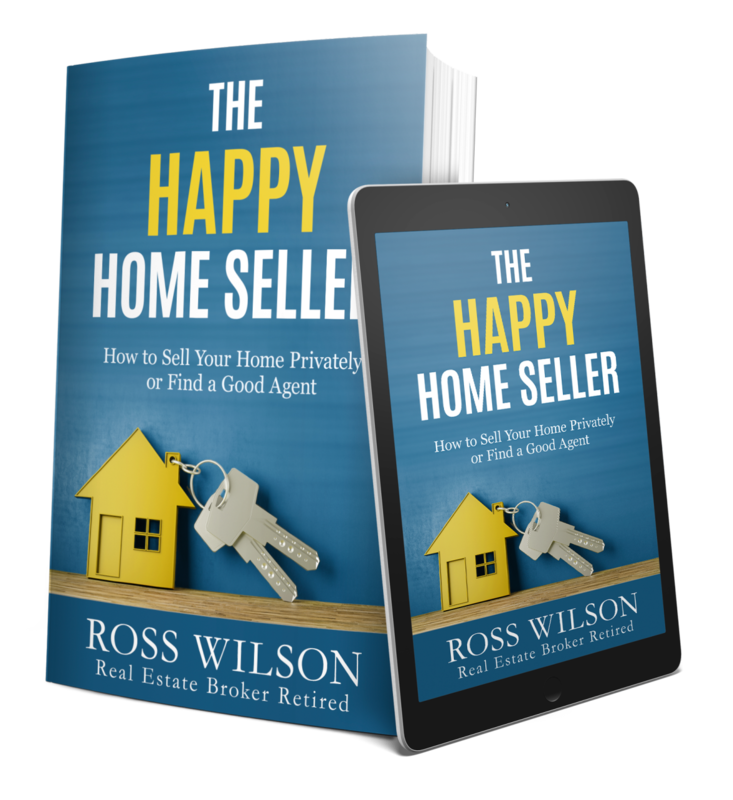 During my successful 4-decade real estate career, I had the pleasure of helping countless excited people when they expressed interest in buying an old house. Also, in my day, I’ve personally bought and renovated many an old charmer. Therefore, I can offer some credible recommendations on how to avoid buying an old house that could break your bank account as well as your spirit. Prior to buying an old house and affixing your signature on the Agreement of Purchase and Sale, during the initial and subsequent inspections, you must exercise careful scrutiny of the structure and mechanical and electrical systems. Recognize the fact that you may be buying a fixer-upper. Frankly, I hope your agent has accumulated sufficient experience so they can objectively point out deficiencies, including actual as well as potential patent and latent defects. Or to help you make a fully informed decision, ask an experienced friend or relative to come along on the initial or follow-up viewing appointment. Or invite an experienced and honest contractor to accompany you. And of course, after the Agreement of Purchase and Sale, conditional on the usual items, including satisfactory home inspection, has been negotiated, hire at least one highly qualified expert home inspector. If you and your inspector suspect possible structural problems, hire a structural engineer to have a peek at it. 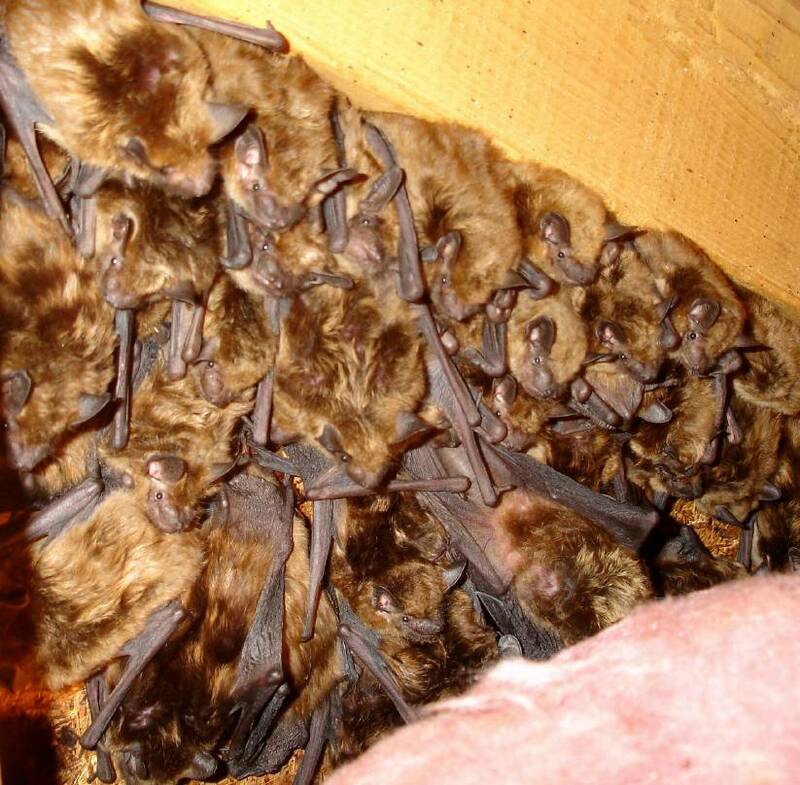 Of if there are hints of some type of insect or rodent infestation, such as bats in the attic, call an appropriate inspector to check it out - prior to signing the Notice of Fulfillment or Waiver removing the condition. To have the bats and their toxic guano removed can be exceedingly expensive. To be forewarned is to be forearmed. I hope you find my specific further suggestions below to be helpful in your quest in buying an old house. Whether a building is old or new, the foundation is the most important aspect of any house. In locales that are wet, or known for having unstable bedrock or seismic activity, problems can be exacerbated. If the main centre beam of the old house has begun to sink, due to decay, a split, termite infestation, or has undergone one too many drill hole or notch modifications by the home handyman, such sinking will reflect throughout the house. You’ll probably find uneven floors (try the rolling marble test) and even sagging roof rafters or trusses. 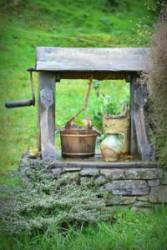 When buying an old house, here are a few simple but effective problem indicators. Do the doorways have uneven lintels? Do the doors and windows open and close easily and cleanly? Or do they jam or not latch correctly? Have the doors been cut and trimmed over the years so that they’re no longer perfectly rectangular? To repair such damage, which could involve foundation replacement and/or jacking up the house and repairing all the resulting damaged plaster walls, floors, framework and trim, would be exceptionally expensive. What materials were used to build the foundation walls? Can you even see them, or are they hidden behind drywall or paneling? Older houses were often built with rubble-stone and mortar, or cement block. Any obvious bulges or cracks in the basement walls? 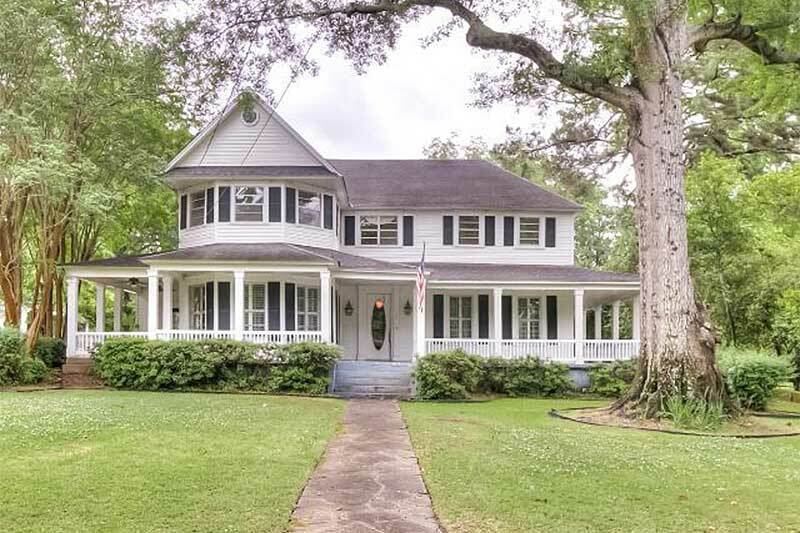 When buying an old house, you should be prepared to accept that the weeping tiles around the exterior of the foundation wall may be long rotten, crushed, clogged with tree roots and sediment - or even non-existent. So, prepare yourself for the major expense of rectifying the problem. This may involve excavating the entire circumference of the house to install a new weeping tile system. 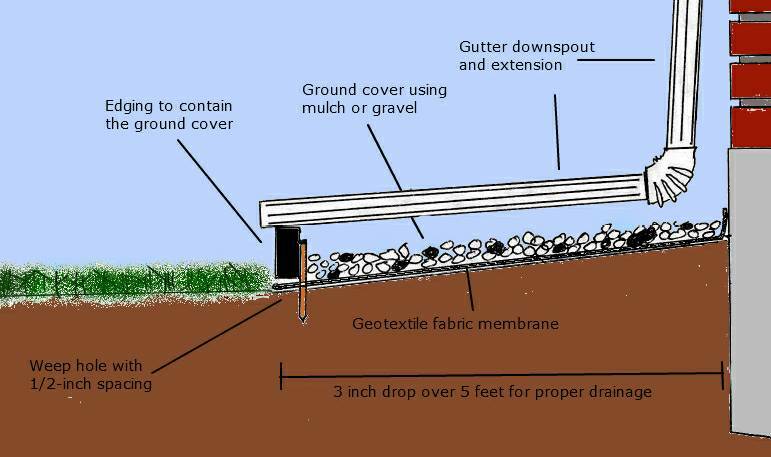 The absence of a good drainage system, including floor drains, would render the basement relatively unusable, except for possible storage of non-perishable junk, as well as a mould and mildew farm (see below). Having said this, it's possible to obtain a good result by excavating and installing a tile system inside the basement. 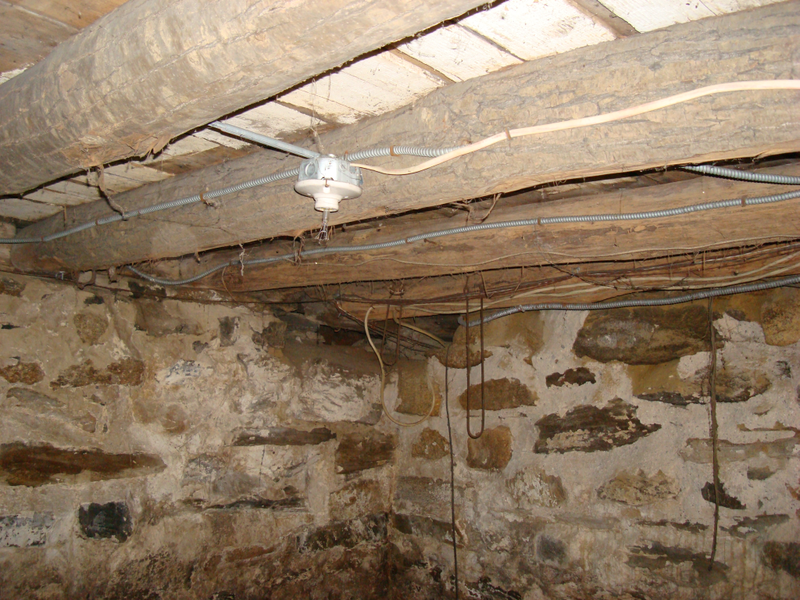 I suggest you check with a basement contractor to get an estimate before buying an old house. A damp basement might be simply poor ground-level drainage outside and around the foundation wall. Check the grading of the lot to see if it’s sloped away from the house. Are there eave trough pipes to ensure drainage well away from the house? 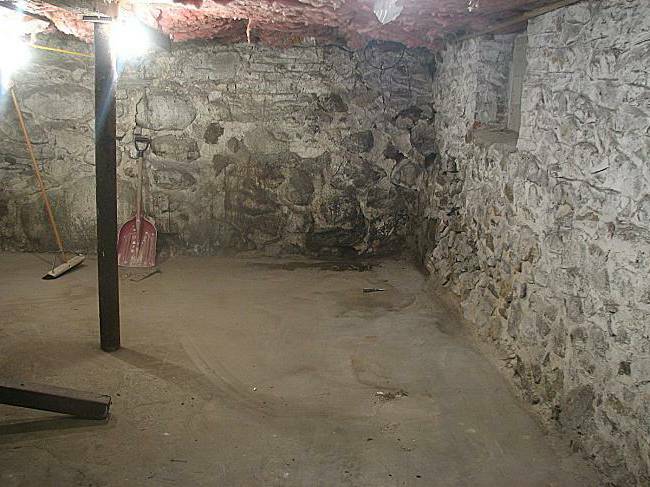 How does the basement or cellar smell? Your nose can sometimes tell the tale. So, trust it. I personally lived through such an experience when I bought a dilapidated former rooming house. It was a solid brick-clad frame Victorian-style 2.5 storey house built in 1912 or thereabouts. But I bought it knowing about the necessity to virtually rebuild it. And the purchase price reflected its rough condition. Fortunately, the foundation was fine. However, the house had sunk in the centre and needed to be jacked up. To rectify the problem, I installed a new 6”x 6” spruce post atop a new cement block and poured concrete footing that supported new fir beams under each floor all the way to the attic. Since other components, such as the old plaster and lathe walls, trim, kitchen, bathroom, floors and windows couldn’t be saved (or weren’t worth the effort), I gutted the entire structure. I spent a ton on updated heating, wiring, plumbing and just about everything else you can imagine. But at the end of the half year it took to complete the work with the help of specialized sub-contractors, I had a unique, charming new “old” home in a mature neighbourhood. Was I proud of my accomplishment? You bet! And my neighbours were thrilled too; no more junk-littered rooming house on the street. Whether buying an old house or a newer home, mould can happen under the right conditions. Any apparent dampness in the basement, attic or anywhere around the house? Poor air circulation and a tightly sealed house, combined with dampness from water seepage, create an ideal environment for the growth of mould. And remediation can be very expensive. Though a small amount of indoor mould growth is (according to government safety standards - if you trust them) acceptable, uncontrolled growth can exacerbate allergies and existing respiratory problems (such as asthma) in healthy children and adults. Serious infections can develop in the very young, the very old, as well as anyone with a compromised immune system. Also, mould literally eats its host surfaces, particularly wood, drywall, grout and other porous or semi-porous substances. Thus, unchecked mould infestations can cause structural problems and render a home temporarily or permanently uninhabitable. The addition of bathroom exhaust fans as well as a new air exchanger and dehumidifier system might be in your future, not to mention mould remediation. If your home inspector is qualified, ask him to check for mould. Or hire a mould remediation expert to inspect and report on those areas of the house where mould might be present, including the basement (cellar), attic, kitchen, bathrooms and even inside walls if water ingress is suspected. Radon, a radioactive gas that occurs naturally in certain types of bedrock., enters homes through cracks in the foundation perimeter and basement walls, particularly older homes. The gas then circulates throughout poorly ventilated houses over time. Though it’s considered non-toxic when encountered intermittently in small doses, this gas is apparently the leading cause of lung cancer for nonsmokers. Excessive exposure is not recommended for long periods of time. When buying an old house, and your radon test indicates the presence of excessive radon, you may have to do something about it. Mitigation typically involves capturing gas in the soil or rock surrounding the foundation and piping it to a roof-top vent, followed by sealing foundation cracks to prevent further seepage. The installation of multiple depressurization vents outside the house to vent it before it comes into contact with the foundation, or negative-pressure fans that essentially blow radon from the basement or lowest level back into the soil, are 2 other options. In any event, your inspector can test for radon presence and advise whether or not it is a significant concern. The lifespan of electrical wiring is (barring any damage from rodents and incompetent home handymen) basically limited by the lifespan of the wire’s insulation. Generally, wiring installed pre-1960 typically lasts about 60-70 years, while it's anticipated that newer wiring will last about a century. Once the insulation deteriorates to the point where the metal wire is exposed, the risk of electrical fire, shock, short circuits and localized power failures increases significantly. My project was obviously the extreme. When buying an old house, and you've found one that you're seriously contemplating making your home, I recommend that you view it with a qualified home inspector. Amongst other features, they can advise regarding possible serious problems with the electrical system. Has the wiring been updated? Is it 100 amp or the original 60 amp service? Fuses or breakers? Knob and tube wiring? Copper or aluminum wiring? Is it properly grounded? 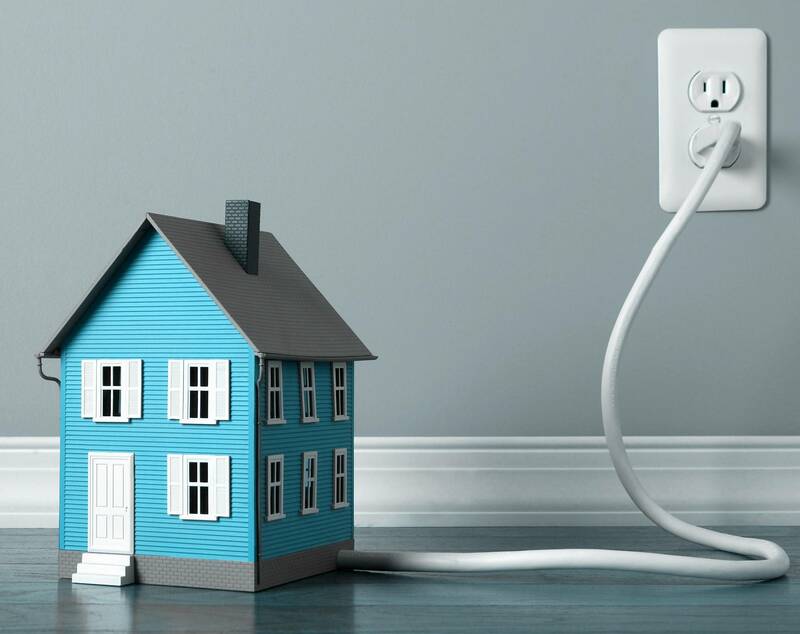 Are there sufficient electrical receptacles in each room, or will it be necessary to use extension cords and multi-outlet adapters, potentially over-loading a circuit with all the electricity-consuming devices of modern technology-addicted living? If you're unsure how to answer such questions, you may want to include a condition in your offer allowing you the opportunity to have a satisfactory inspection and report by a licensed electrician or even the local Electrical Safety Authority (ESA). Does the old house have the original furnace, maybe a giant gravity, coal-fired octopus in the cellar? Or maybe it’s oil with twin tanks in the corner? Is it forced-air or heated water radiators? Or was it once updated with baseboard electric heaters throughout the house? Are the heat radiators under the windows or on interior partition walls? When buying an old house, there’s much to consider. So, it's important to ask the right questions. 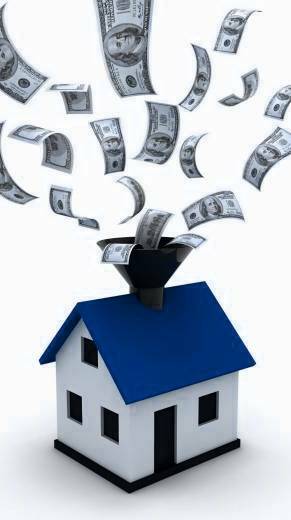 Converting systems is extremely expensive, especially when supply and return-air ducts must be added into walls and floors.And don't forget about the chimney; its liner might be seriously deteriorated. 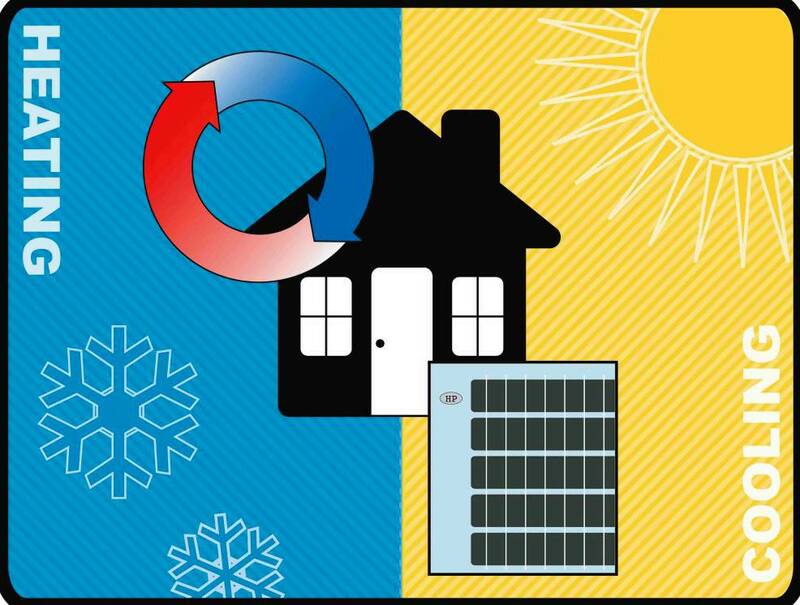 Is there a central air-conditioning system, or have previous owners relied on window or wall units? If the old house is solid masonry, that is double-brick or stone walls, air conditioning may not be necessary, particularly if it’s well insulated and/or situated on a lot featuring mature trees. Old homes built prior to 1960-70 were often painted with lead-based paint in the interiors. And homes built between 1960 to 1990 may have been coated with lead-based paint on the exterior. 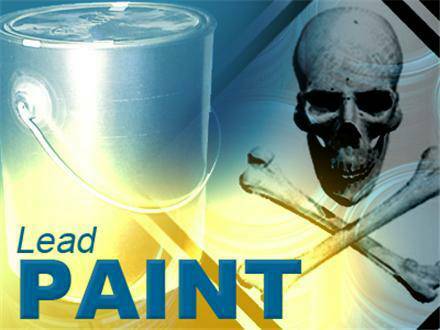 Lead is a neuro-toxic metal, particularly harmful to children, that you definitely don't want in your house. I’m sure you realize the danger inherent with renovating an old house of that era due to unsafe materials. Unless you intend to rip out all the walls and ceilings (with proper safety protection, of course), I suggest that you build into your renovation budget the cost of having it painted by a professional painting contractor. They’ll be aware of the safety precautions necessary and possess the appropriate equipment to deal with such a scenario. If you want to determine whether the house contains lead paint, send some sample chips to a lab for analysis. Or you could hire a contractor equipped with the appropriate x-ray equipment for lead detection on painted surfaces. For more information, visit the Government of Canada website or the US Environmental Protection Agency. This mineral was commonly used prior to the 1950's in the manufacture of carpet underlay, textured paints, roofing and siding shingles, electrical wiring insulation, acoustic ceiling and floor tiles as well as ceiling and wall insulation. 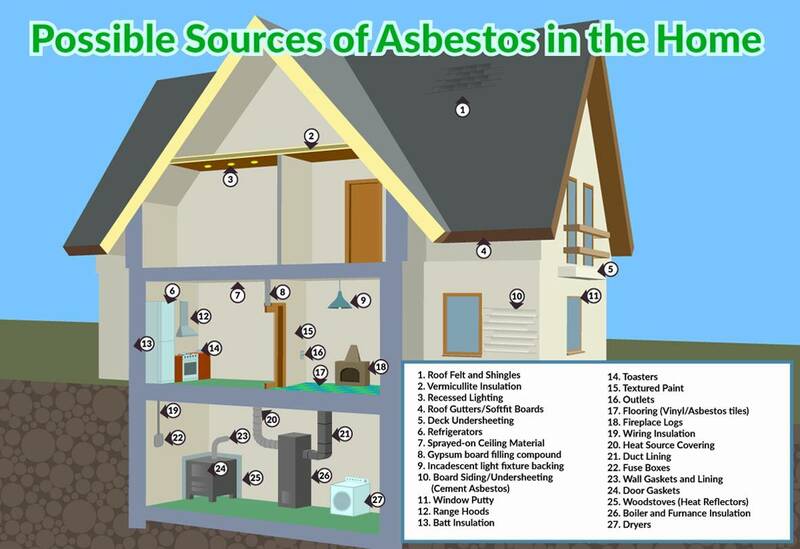 Asbestos was also often used in the paper, mill-board or cement sheets surrounding wood-burning stoves. 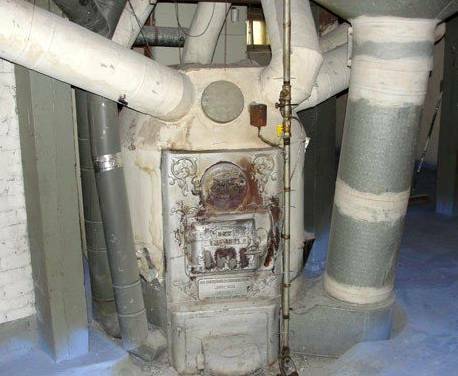 Hot water and steam pipes, including oil or coal furnaces, were sometimes coated or wrapped in asbestos material and tape. It was a fairly cheap and readily available heat-resistant material, the use of which was eventually discontinued after it was determined that it contributed to the development of lung disease. 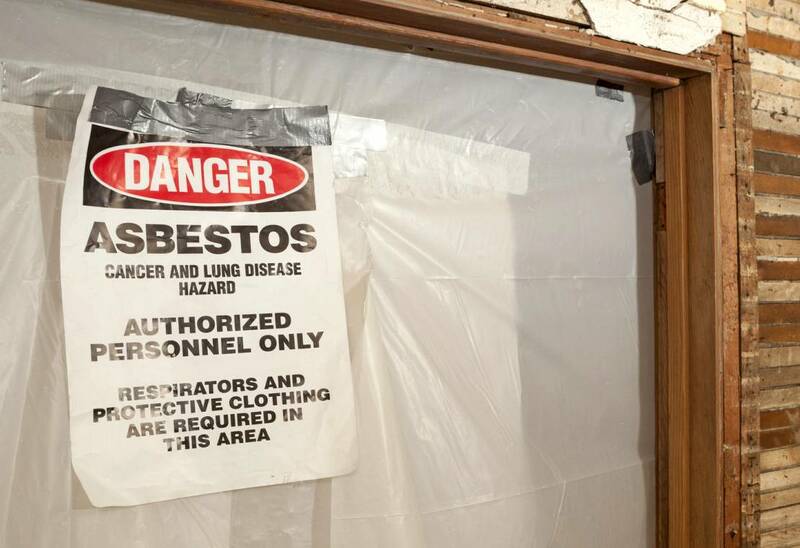 If you discover asbestos in the old house, it's not necessarily hazardous. The problem arises if it's been damaged over the years, or for example, if it's not encapsulated and undisturbed within the walls. Such damage can release fibres into the environment. And that could be a big potential health problem. Your home inspector or contractor should be able to point out such material. For more information, visit the Government of Canada or the United States Consumer Product Safety Commission. 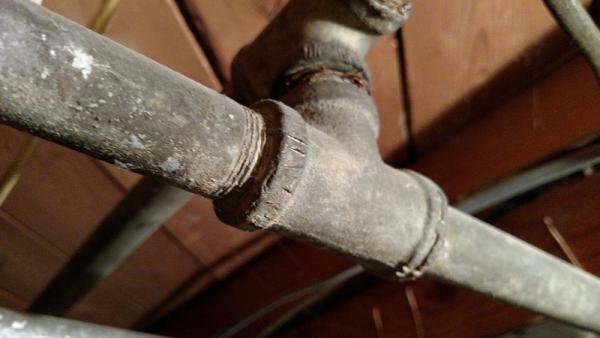 In days of old, plumbers didn’t use copper pipe for plumbing systems as they now do. Instead, they installed galvanized metal pipes They also didn’t have the new plastics for drain pipes, but cast iron. 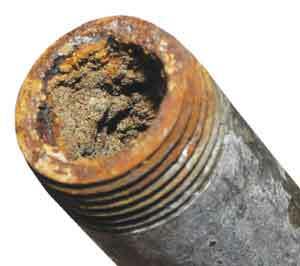 The problem is, though, that galvanized and iron pipes are prone to rust and corrode very quickly. They may appear fine on the outside, but the inside of the pipes could be clogged and corroding. Therefore, not only must you be prepared for the cost of replacing this antiquated material, which is a rather large undertaking, but most insurance companies now refuse to cover water damage caused by leaks from such systems. Once again, to be forewarned is to be forearmed. Oh - while we're on the topic of water, if you're considering buying an old house in the city or suburbia, there should be no significant issues with the water quality (except, of course, the presence of chlorine and possibly fluoride and any other toxic chemicals that might be lurking in the water supply.) However, if your dream home is supplied by a private or even a community well, it's imperative that you have it tested for potability and operation. For more details on this subject, I invite to visit my page on buying a rural property. When buying an old house, after you've paid your money and closed on the purchase, you wouldn't want to be surprised with the discovery that you need a major water purification and/or softening system. Such equipment can be quite expensive. How do the windows and doors look? Original or updated? Single-glazed or double-panes? Original wood-frame, modern vinyl or mid-20th century aluminum? Do they open and close easily? Do they leak? When buying an old house, replacing windows will cost a lot of money. But doing so would be a wise investment, provided you plan to live there awhile. Not only will the house look much more attractive, and have a higher market value, but it’ll be more comfortable and less drafty. And your heating and air-conditioning bills will be lower too. Oh, and the new style windows are more easily cleaned. Are the window and door frames and trim natural wood-stained or painted? The gargantuan amount of time and labour to strip, sand and refinish such components is a horrendous, not to mention potentially toxic task and not to be undertaken lightly. 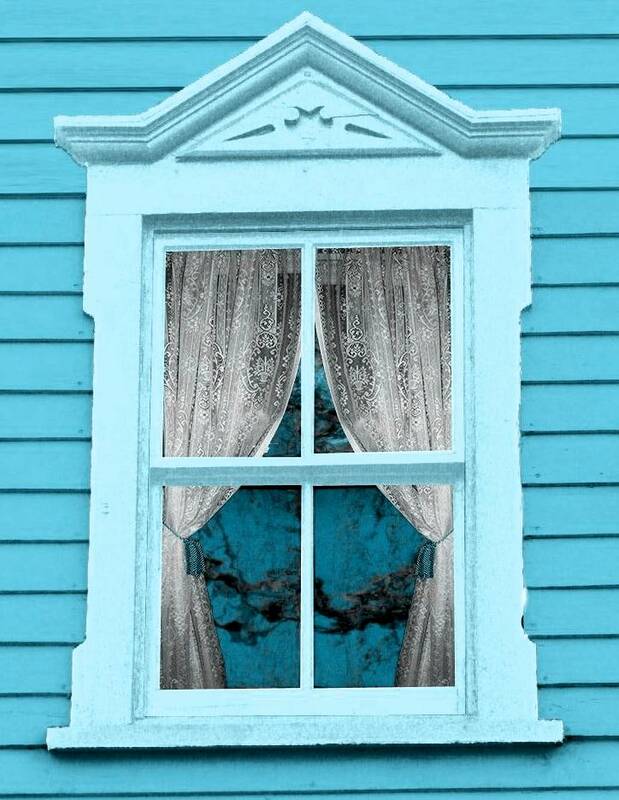 Some people buying an old house might prefer to keep the original windows and their wavy glass, provided they're not rotten or damaged in any way. I suppose their interest in preserving the historic integrity of the old house is worth the inconvenience of maintaining them with paint and calking every few years, along with the more challenging cleaning, not to mention higher heating costs. But having them replaced with genuine wood reproductions won't be cheap. Living in an old house can be a delightful experience. 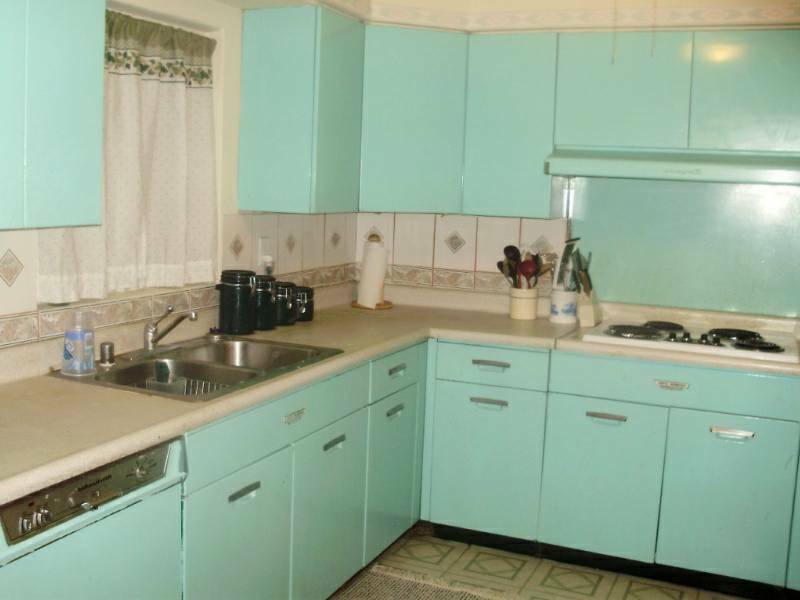 But living with an outdated kitchen and bathrooms is, well, not so great. Thus, I suggest that you factor into the purchase price calculation the cost of having such essential rooms updated. It certainly won’t be cheap, but such renovations are known to have the highest rate of return, not to mention the pure joy of a new kitchen. 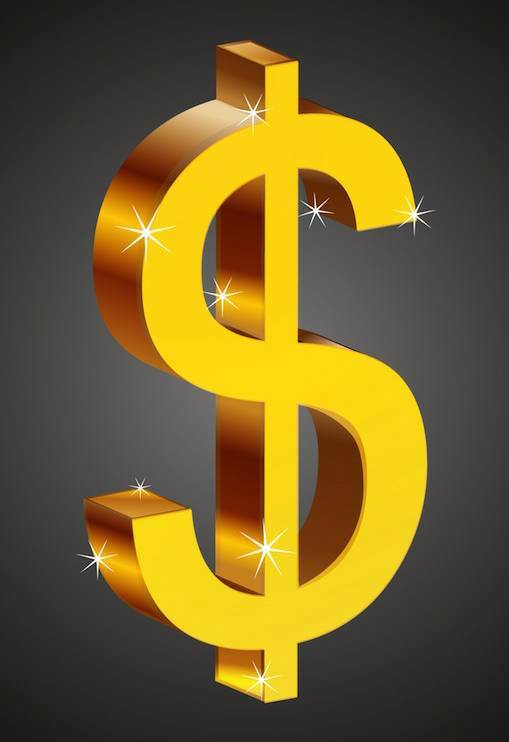 Check out this page to learn more about ROI. Also known to have a high ROI is exterior work, including landscaping, driveways, fencing and exterior cladding. Once again, you can spend a lot of money on such projects as new siding, gutters, soffits and fascia, roofing, driveways and shrubs, but the finished product will look smashing. Obviously, anyone interested in buying an old house in a mature neighbourhood appreciates a mature landscaped lot. So, once again, money well spent. Check out this page for more about the value of landscaping and curb appeal. The old house may be beautiful and exude the charm of yesteryear, but it wasn’t designed and built for today’s modern living. Rest assured that it’s going to need some updating, especially if there have been numerous questionable renovation projects undertaken by countless previous owners whose skills didn't align with their delusional beliefs in themselves as expert contractors. 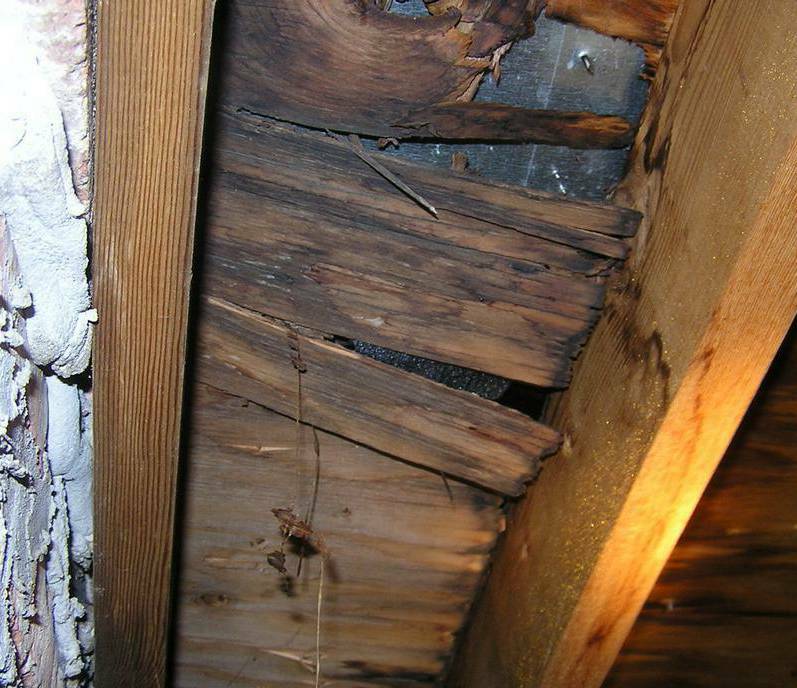 Have your home inspector take a close look at the roof, from the topside as well as from the underside in the attic. Keep in mind that old houses sometimes grew rooms as families grew kids. Thus, various parts of the roof may be older than others. If it needs new shingles, that's easily accomplished. But if the sheathing beneath the shingles are rotten, or there are access points for critters, then that will cost you a little more to repair. Provided its structure is fundamentally sound, including being constructed on a solid foundation, the rest can certainly be modified and modernized to suit current living standards. It’s simply a matter of cost in time and money. If you’re really serious about buying an old house, then it would be wise to do everything you can to preserve as many of the historic architectural design features and craftsmanship that inspired you into buying an old house in the first place. Salvage and recycle as much of the existing materials as possible, including mouldings, hardware, banisters and flooring. When possible, repair rather than replace. 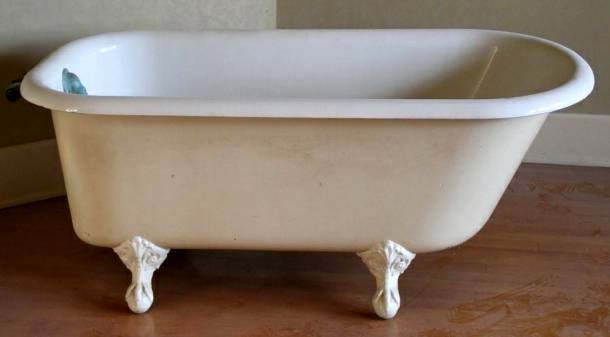 For example, instead of discarding the old claw-foot iron bathtub, have it professionally re-glazed. I hired someone to do this once, and the result was fantastic.Instead of 'out with the old', I say 'in with the old', but give it a new life. Repair and refinish damaged doors, old built-in cabinets, wood paneling, railings and banisters, original plaster walls and hardwood floors. If an historic feature is damaged beyond salvage, seek a replacement from an architectural salvage centre. Or replace it with a new piece that matches the old as closely as possible. Fancy gingerbread trim on the eaves or front porch look great. But if they’re rotten, replacing them will not be inexpensive. Hopefully, they'll just need a new coat of paint. When buying an old house, to determine its present market value, and how much you should offer, it would be prudent to obtain an estimate of the cost to renovate the old house to your personal standards and taste. Then, ask your agent to prepare a Comparative Market Analysis (CMA) based on its current pre-renovation market value, and then for the same old house post-renovation. In other words, what would your renovations do to the ultimate market value of the property, assuming market conditions remain the same? Keep in mind that when buying an old house, particularly a fixer-upper, you’re unlikely to buy the place at an amount of the after-reno market value less the total cost of all the work. You’re not likely to get a 100% return on the costs. It’s rarely a dollar in/dollar out scenario. Therefore, you should be prepared to meet the seller somewhere in the middle between the 2 estimated values. It’s a simple matter of negotiating the offer. 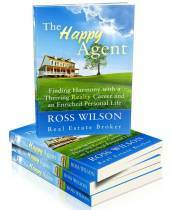 Much will depend on how motivated each party is, both you as the buyer and the seller homeowner. Before signing your name on the dotted line when buying an old house, there’s obviously much to consider before taking the leap. But the best advice I can offer before buying an old house is to ensure you have experienced and qualified advice from professionals. It will cost you some fees, but those monies will definitely be well spent. And don’t be swayed by superficial facelifts and staging. Oft times, such surface surgery can hide a multitude of potential problems. 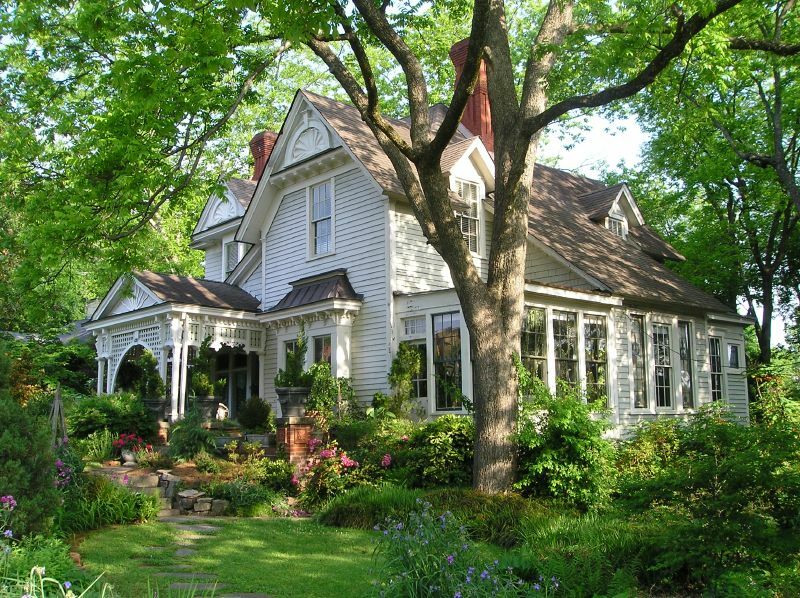 When buying an old house, dig deep to determine what’s been done beneath the pretty exterior. Is buying an old house a safe bet? Indeed, it is, provided you exercise caution throughout the process. Enter negotiations with a clear understanding of what you're buying. 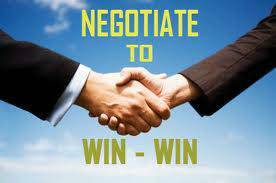 Negotiate so that both parties finish with a good feeling, that is both parties feel the result was a win/win. And, of course, it's wise to depend on high quality expert advisors throughout the process. I've never bought a new house myself. I suppose I'm repulsed by the generally lower quality construction of mass-produced, cookie-cutter houses. 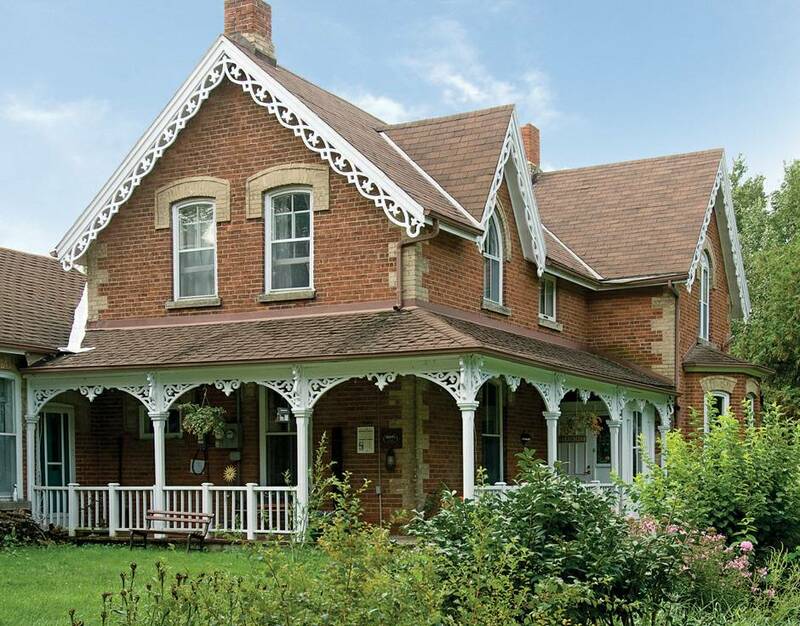 I prefer the charm and character of established neighbourhoods where each unique old house, likely better built than newer homes, has been called home by multiple generations of families. I don't even mind the occasional benevolent ghost!